We are the only mold replicator to offer this service. 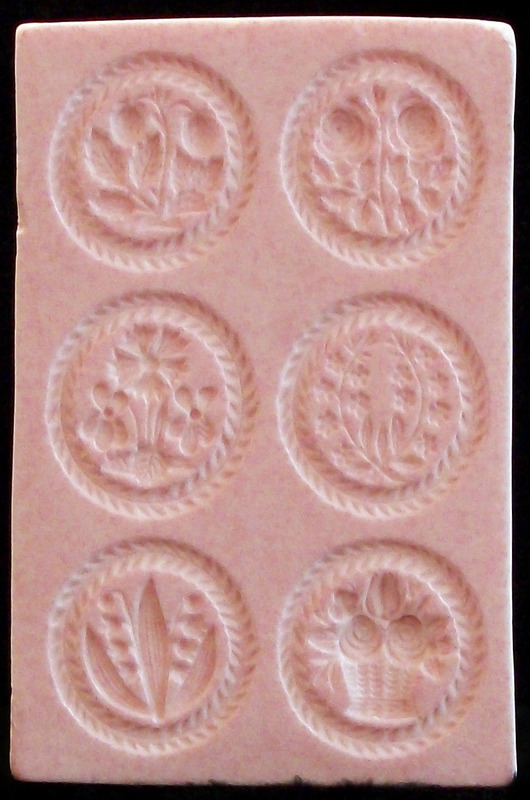 Being produced for the baker, these molds may be ordered in colors to suit your tastes. The wood look is surely very nice but what is most important about these unique molds are their images, not their color. Don’t allow yourself to be limited to what everyone else has, Express yourself with molds of color. 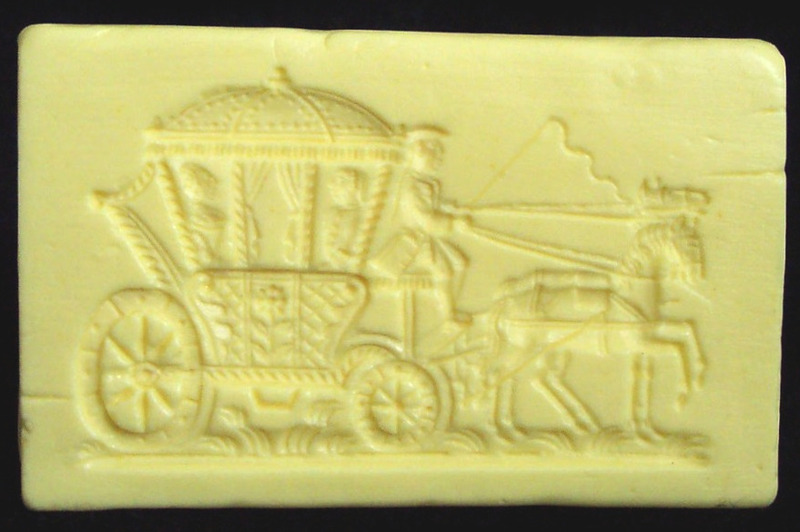 Clear and Tinted molds can take up to 7 extra days to produce. With the Clear Color Tints, please let me know if you want a “Light” tint or a “Dark” tint. PLEASE note that Clear and Color Tinted molds will have an extra charge. At The Springerle Baker we like to cater to your tastes. 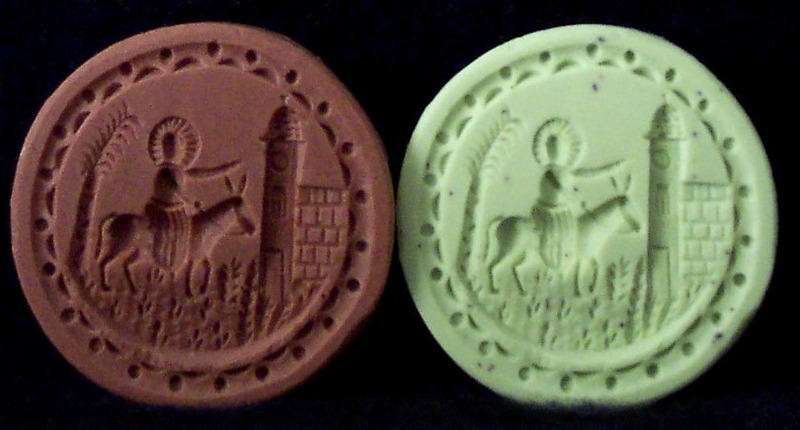 Above is a selection of Jadeite green molds. Just one of the many colors we have developed for our molds. 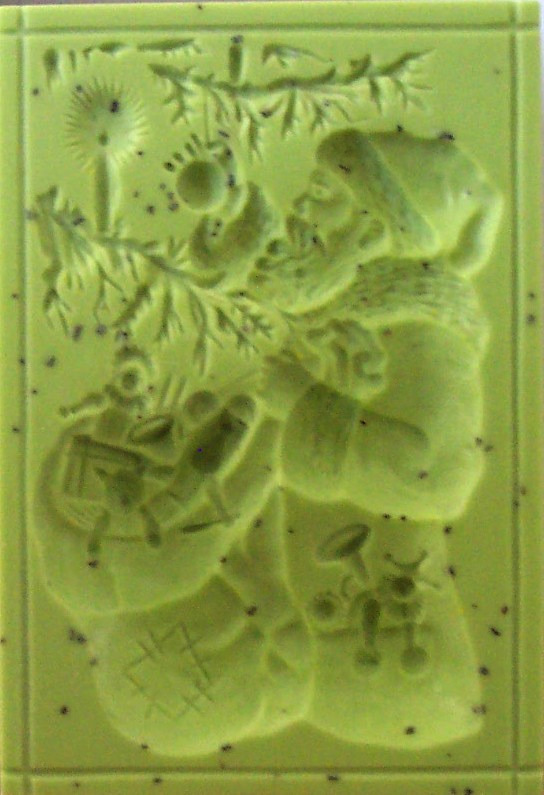 Clear mold selection. Looking at the back of the molds. At The Springerle Baker you can also order your molds clear. 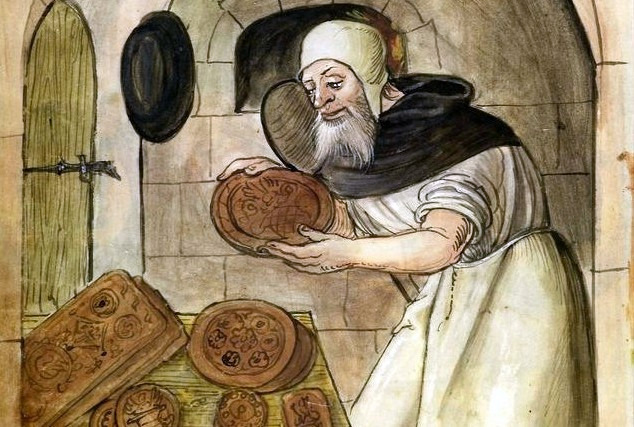 They work as beautiful works of art as well as cookie molds. Over time these will “yellow” a bit. Trumpeter Mold – Item #201 in Very light clear Rose, Minty Green and Med. Clear Brown. 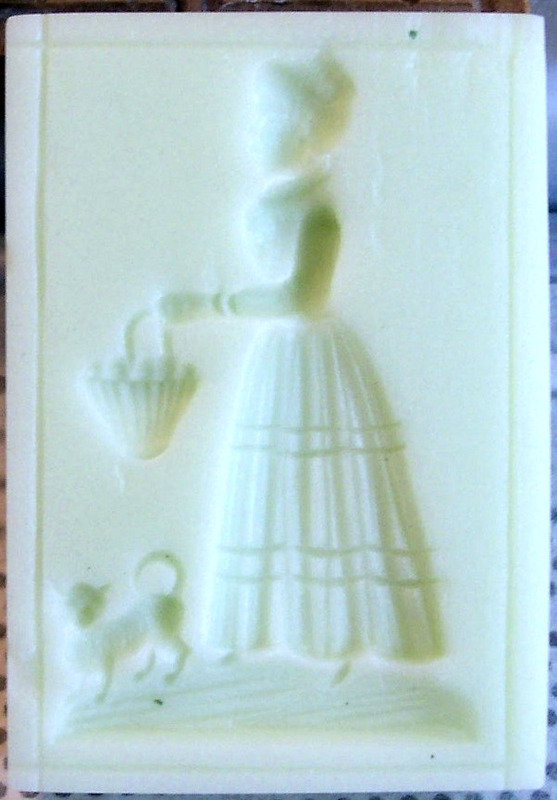 Springtime Lady mold – Item #1534 and is made to look like green glass. We began offering this service to our customers in the Spring of 2008. There hasn’t been an extra charge for this service but after July 2012 we will be adding an extra charge for custom colored molds. We may not be able to match exactly to the color you want but we will do our very best for you. Custom colored molds are non-returnable. If you are using large to very large molds, give our clear molds a try. I made a few to use at the bakery and they help with knowing if all the designs are filled with dough.